Transport to the neurosurgical center and preoperative diagnostics of patients in good grade after subarachnoid hemorrhage (SAH) should always be organized in an efficient—but not rushed—manner. It is advisable to admit all patients with suspected or proven SAH without undue delay. 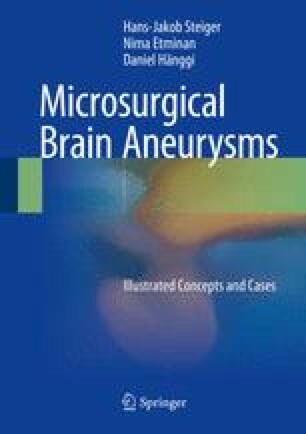 We do not recommend initiation of treatment and angiography in peripheral hospitals that are not equipped for surgical management of aneurysms. This general policy admittedly depends to some degree on local circumstances. Patients with space-occupying intracranial hematoma present an emergency situation that requires immediate action. The same applies to all SAH patients with ventricular hemorrhage, early hydrocephalus, or both. All poor-grade patients should be transferred to the center, because early optimization of cerebral perfusion and intracranial pressure appears to be critical for recovery.